You’ll love 2 Days on the Pacific Slope Trail hike! Experience Monteverde and the Cloud Forests like the locals, with this unique 2 day / 1 night Pacific Slope Trail hike and cultural experience. Starting on the outskirts of Monteverde, discover the town’s Quaker roots as you descend into the valley of San Luis, and take a break at a local coffee farm where you can touch, smell and taste the beans. Then, hike back into the forests, crossing pastures and streams, before entering the Children’s Eternal Rainforest, host to thousands of species of Costa Rica’s unique flora and fauna. 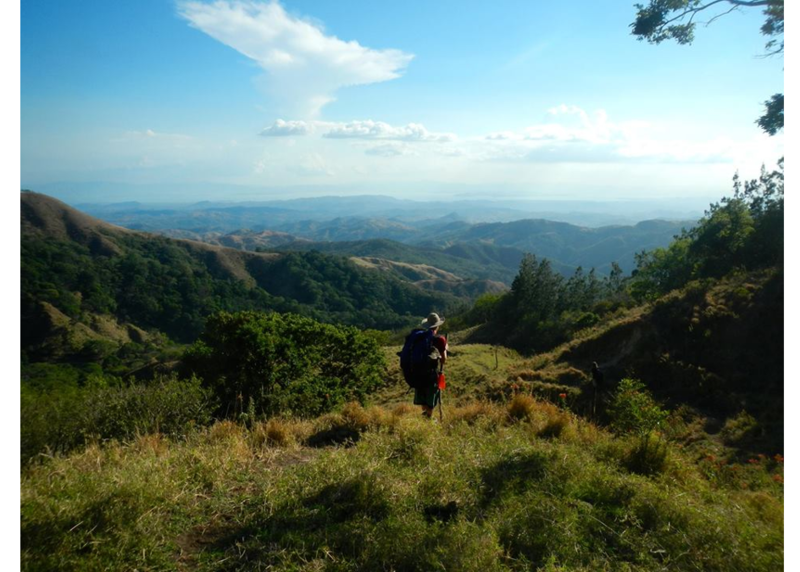 Look back up into the cloud forests, before spending the night in a trail hut watch the sun set over the Gulf of Nicoya. The Pacific Slope Trail hike is a unique offering for those interested in trekking through forest and pastures, and getting off the beaten track. View a 2016 article published about this tour. Strenuous hike 6-7hr. Appropriate for experienced hikers only. Overnight in rustic lodge (we provide sleeping gear). Minimum age requirement is 15 years. 2 guides provided on portions of trails. Subject to guides’ availability: minimum 2 week advanced booking required. Includes: Includes transportation to trailhead and return after trek; meals, guide(s).